Celebrating Times of Change is a practical guide to Wiccan rites of passage in which Stanley Modrzyk shares the beliefs and practices of one of America's oldest legal coven churches, The First Temple of the Craft of W.I.C.A. Revealed for the first time to aspirants and the uninitiated alike, this Book of Shadows demystifies the common rituals of a working coven, describing how Wiccan families celebrate the important events in their personal lives, such as finding a partner, the birth of a child, losing a loved one, or being initiated into the temple. With over 35 I candid photographs of actual coven practice and the accurate text of ceremonies such as the Affirmation Ritual, the Dedication Ritual and the First Degree Initiation, Modrzyk provides easy-to-follow instructions and background information. 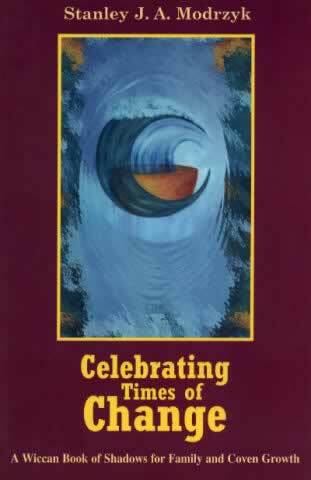 This highly useful text fosters an accurate and positive understanding of the Wiccan religion.